This new edition of The European Economy 1914-1980 has been up-dated and revised to take account of the decade 1980-90 and, as such, covers some of the most dramatic and profound economic events of the twentieth century. 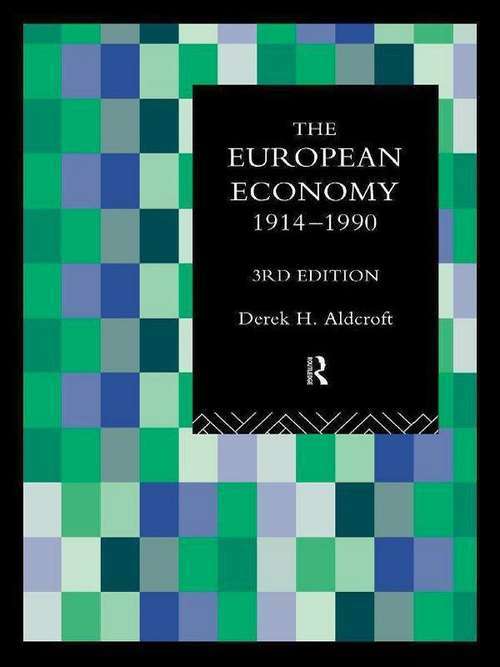 The European Economy 1914-1990 includes two additional chapters, one dealing with the Western European economies, and in particular, the fight against inflation and unempolyment, which dominated the period. Chapter 9 assesses the astounding events in Eastern Europe and the initial movements towards the establishment of market economies.